Every central air conditioning unit has two primary components – the evaporator and the condenser. The condenser unit tends to be mounted outside the house. Usually it’s placed at the back of the house, but sometimes it’s placed on the side. The evaporator coil is the part that sits above the furnace. The unit is attached to a forced-air distribution system. The ductwork that goes through your home is used to both heat, and cool. The A/C unit and the heater use some of the same parts to get this done. If we’re being honest, no one wants to spend money repairing their A/C unit. There are simply so many other things that a person would rather spend money on. That said, refusing to perform the proper preventative care will result in paying money for that exact thing. First, be gentle on your air conditioning system. In other words, make sure your air conditioning system doesn’t have to work too hard. This will help keep the motor and the other parts in good health, since they won’t have to work as hard to do their jobs. Check your home carefully. 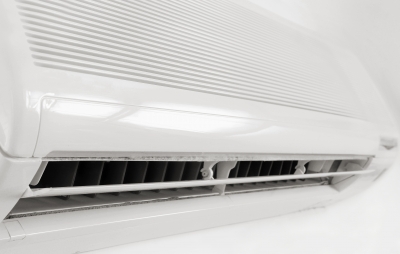 Make absolute certain that there aren’t any areas where cool air can easily escape. This ensures the A/C unit can properly cool the home. Make certain you deal with the air filters. Change or clean them when necessary. Getting into the practice of changing your air filters is one of the simplest things you can do for preventative maintenance. It’s a simple task, but it can easily add years to the life of your HVAC system. Dirty filters can cause the fan to get clogged. When the fan gets clogged with dust and dirt, it begins to get weighted down. This results in your fan having to work that much harder to move, which in turn causes it to burn out its gears more quickly. Once the gears are burnt out, you’ll have to pay for repair or replacement. Clean your air ducts. When dirt and dust clog up the air ducts, the flow of air gets restricted. As discussed with the fan, this causes the system to work harder than it should be working. In the more serious cases, it could cause motor burnout. If you want to avoid those problems, cleaning your air ducts on a regular basis is the way to go. And of course, this applies to fans and other moving parts, as well. Most HVAC repair and installation companies offer maintenance schedules or programs. Many people pass on the idea, presuming they can save some money. Yet the moment there’s any problem, they’re quick to blame the installation company. If you’re not going to allow the HVAC company to perform maintenance, then you have to do it yourself. Otherwise, all you’re doing is putting your unit in unnecessary danger. If you’re worried about money, consider how much it will cost to get your unit fixed. Then consider the fact that emergency services tend to cost double the normal cost. When you figure in that factor, preventative maintenance can save you far more than skipping it.